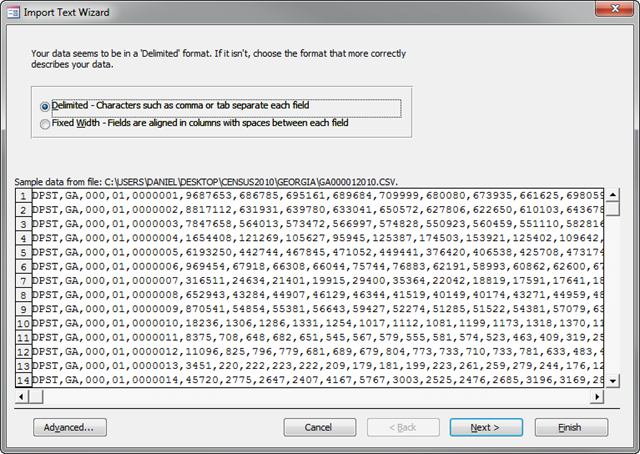 So you’re interested in the 2010 Census results. 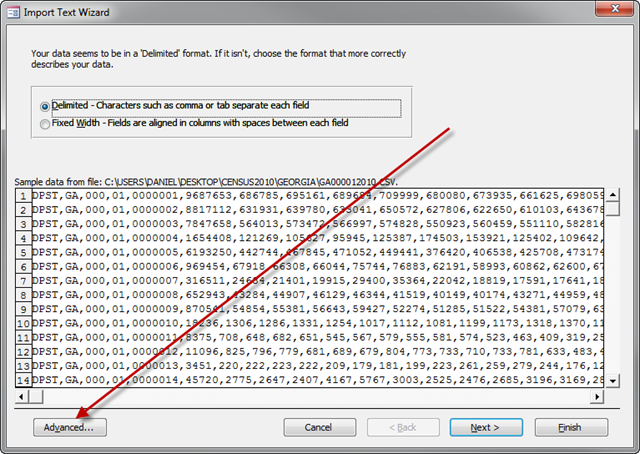 Well they’re publicly available at http://www2.census.gov/census_2010/03-Demographic_Profile/ and with a little bit of work, you can have yourself a fully stocked Access Database with complete 2010 Census data. 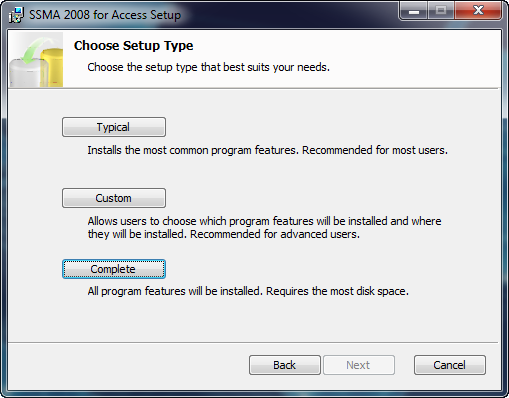 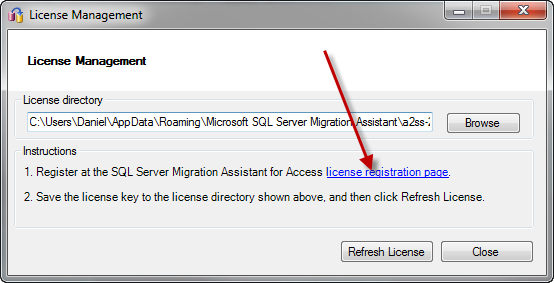 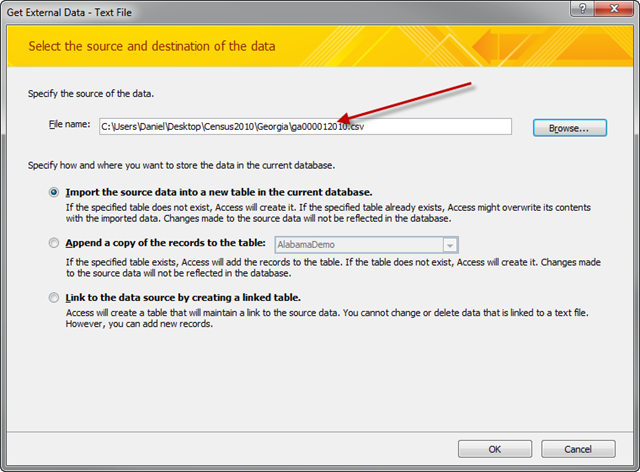 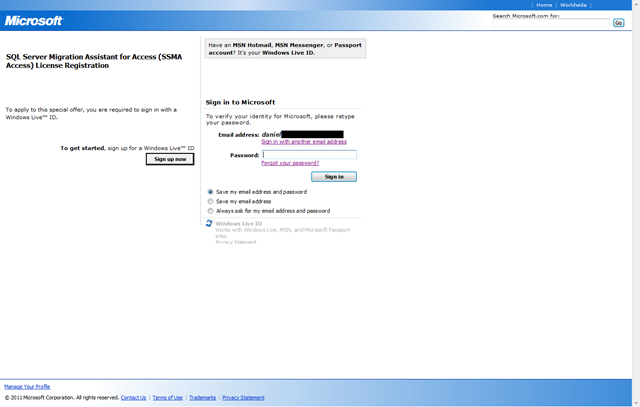 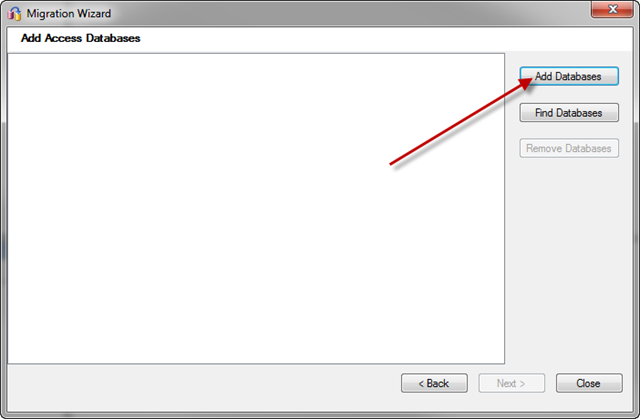 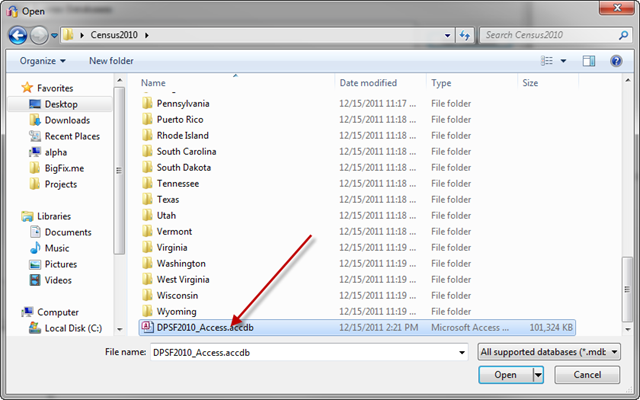 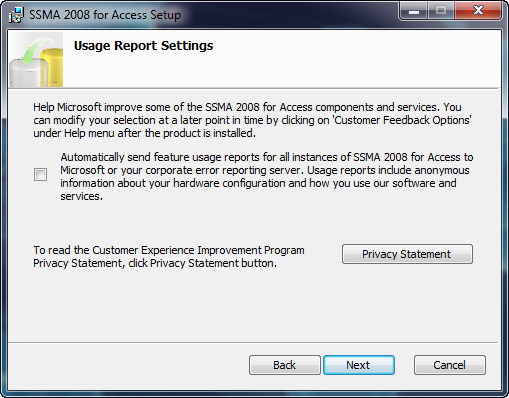 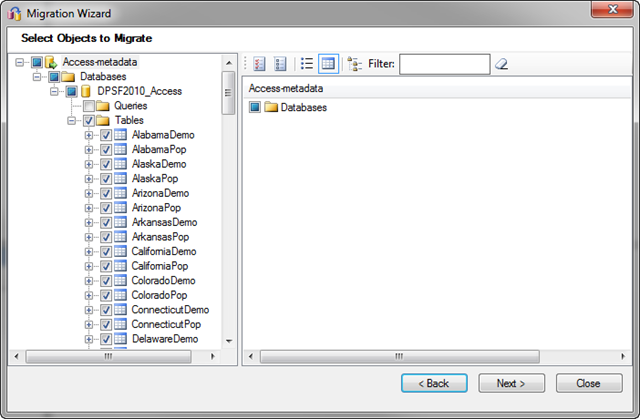 Here’s a simple step-by-step using Microsoft Office – Access 2010 to create a database and import the data for the state( s ) you want to collect. 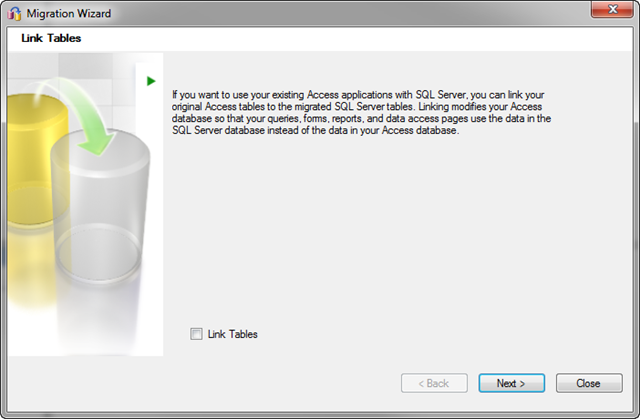 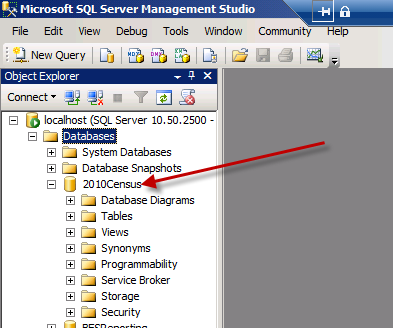 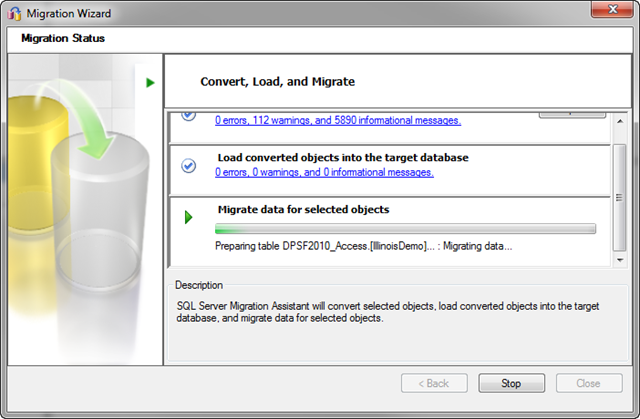 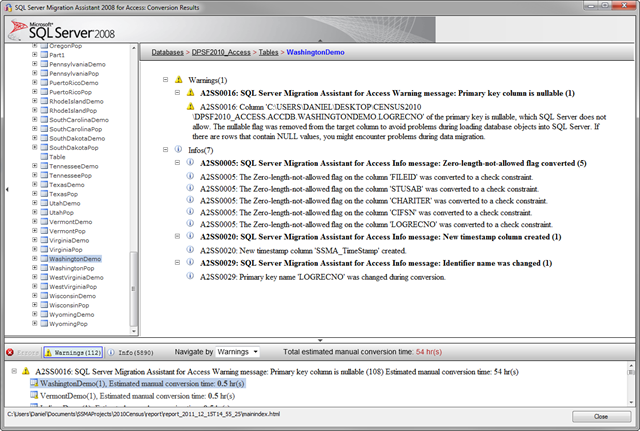 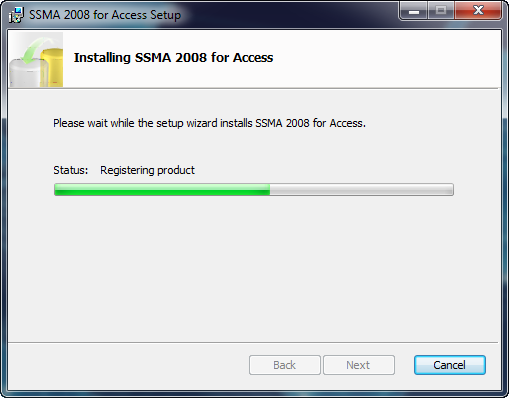 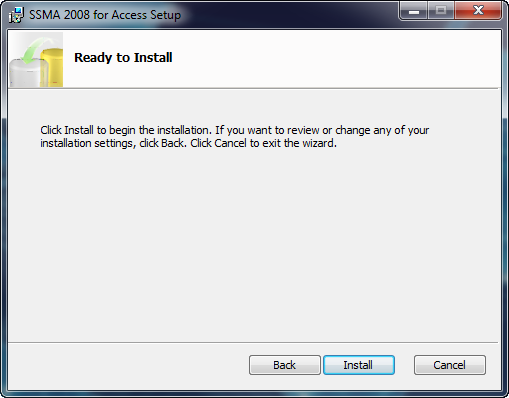 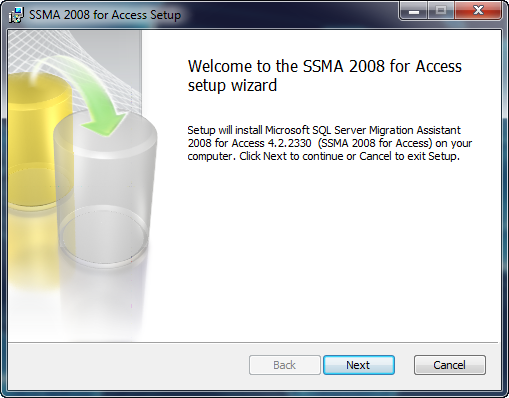 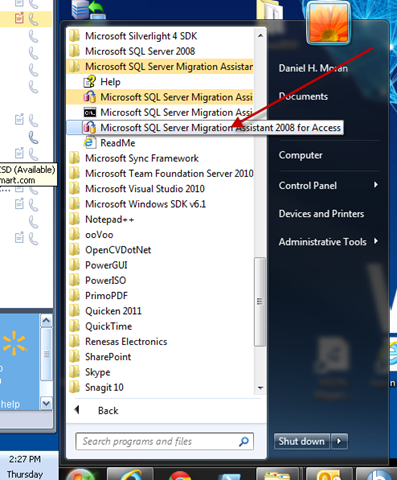 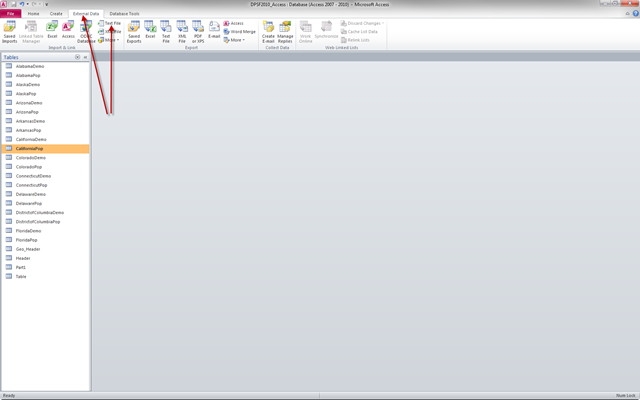 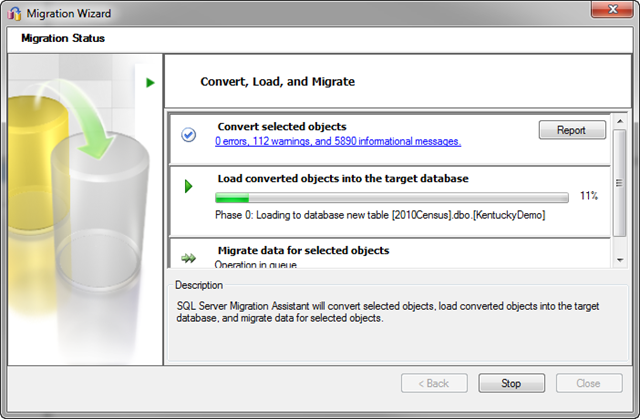 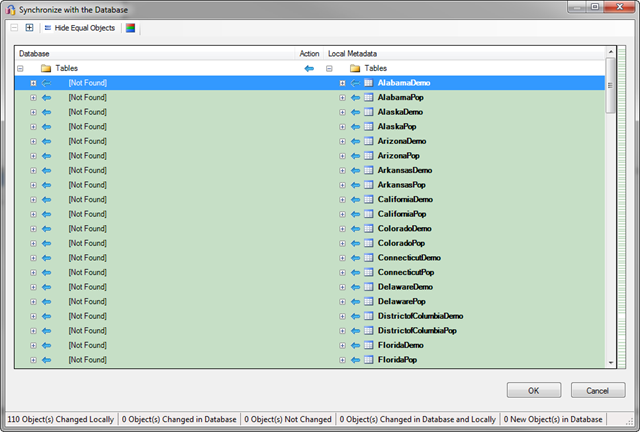 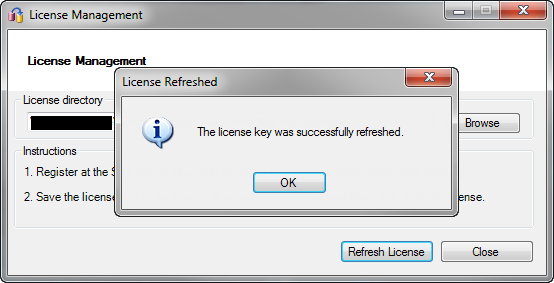 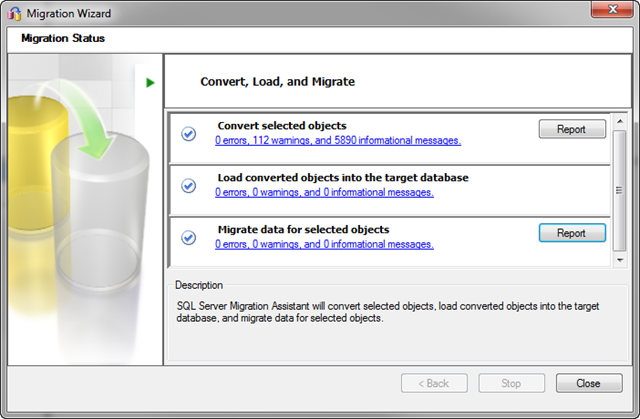 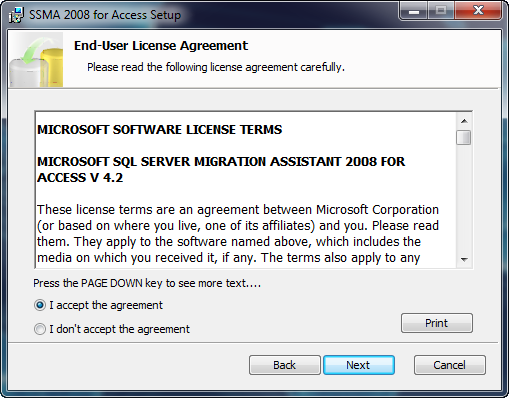 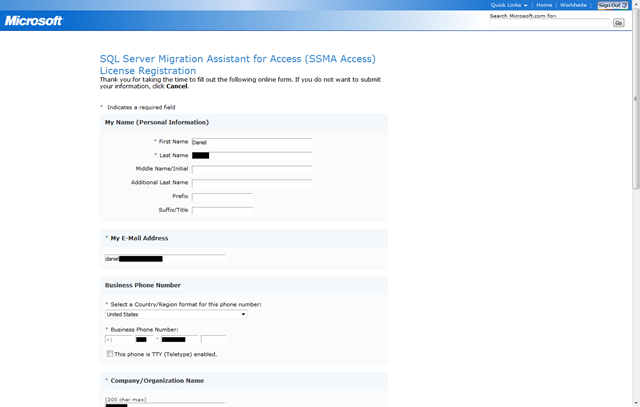 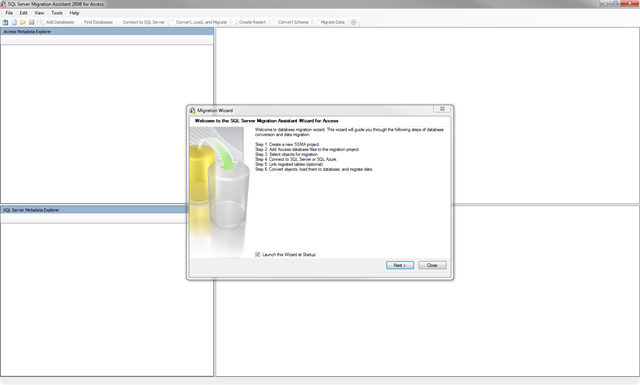 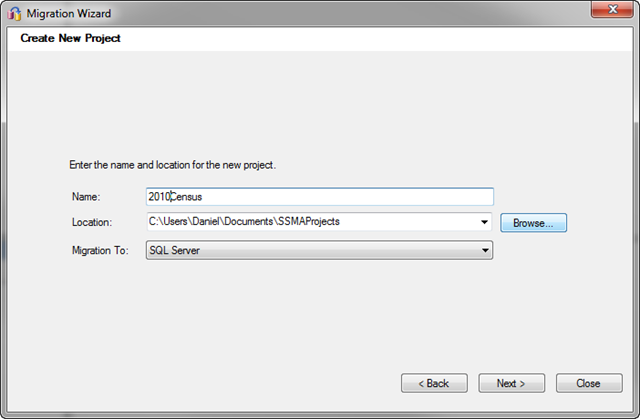 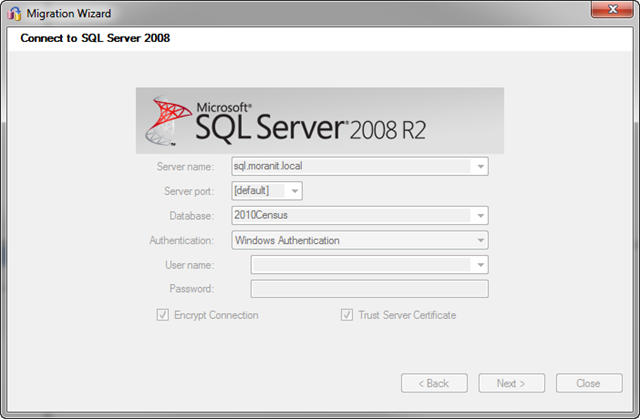 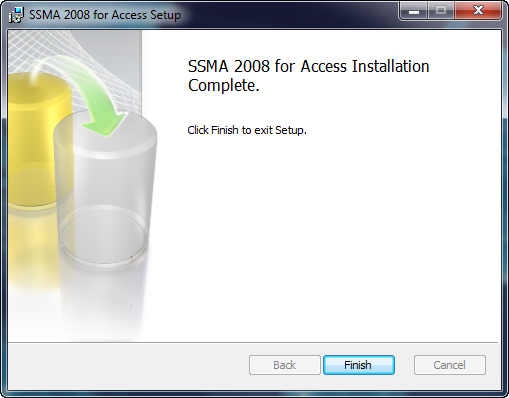 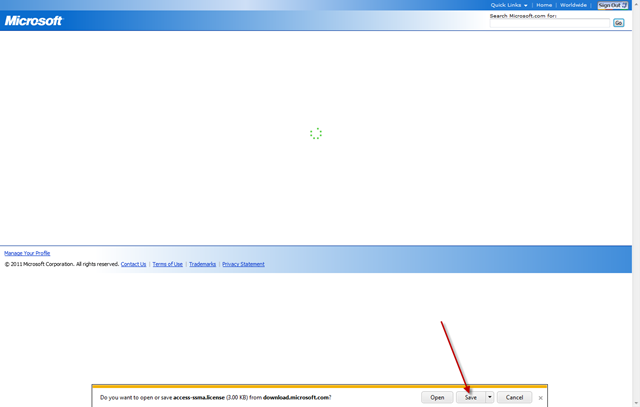 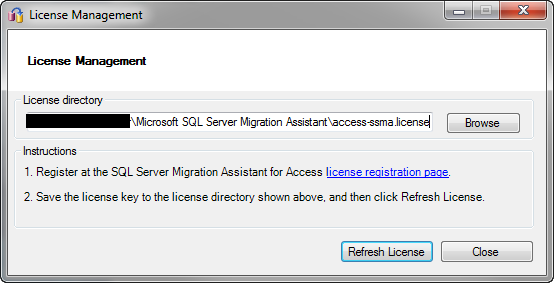 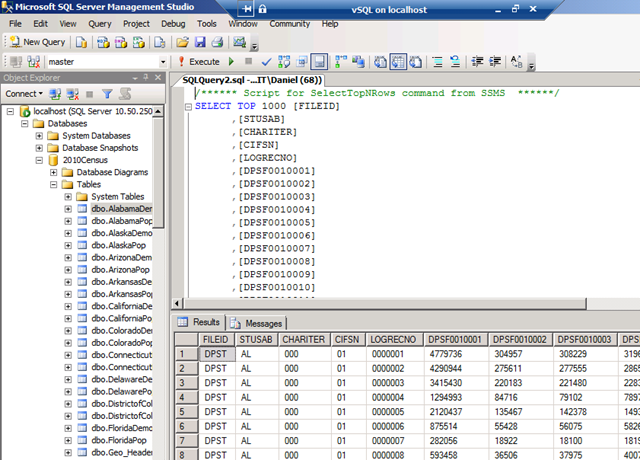 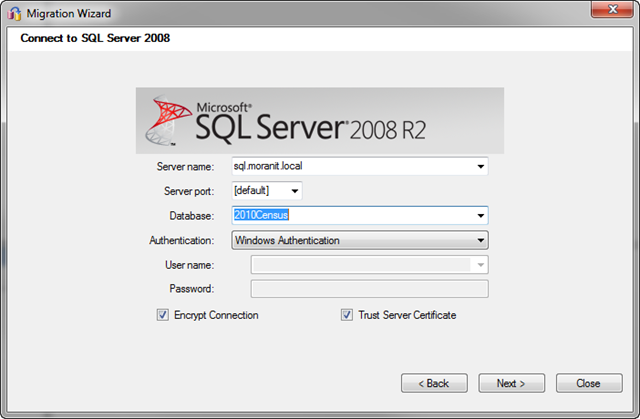 Later I’ll show you how to turn the resulting Access 2010 file into a SQL Database for SQL 2008r2. 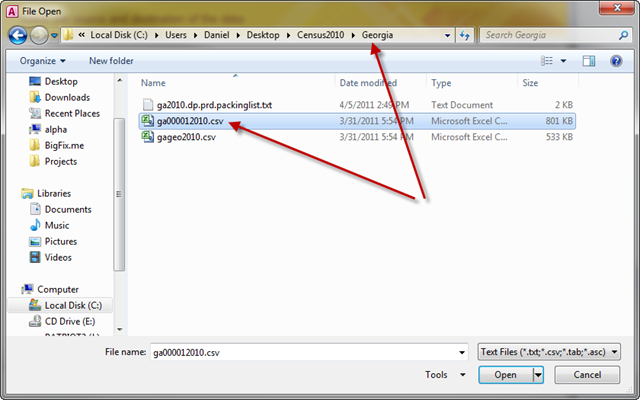 We’ll first import the demographics data… so select the non-“geo” file. 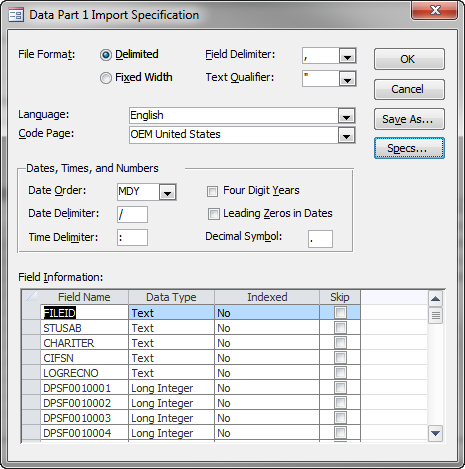 Select the “Data Part…” specification since this relates to the Demographics file. 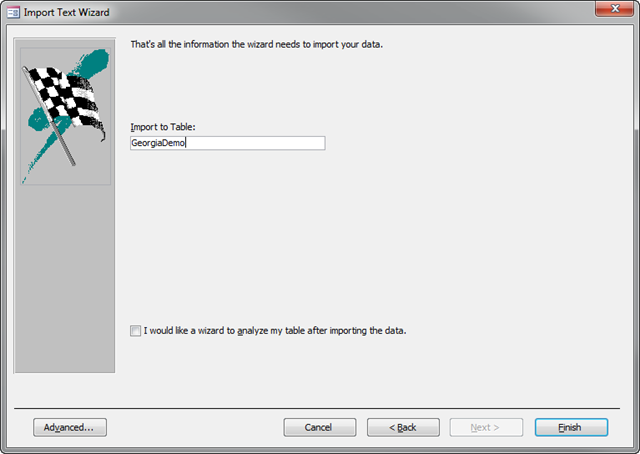 When you repeat this wizard for the Population (geo) file, you’ll need to choose the other “GeoHeader…” option on this screen. 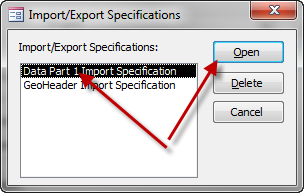 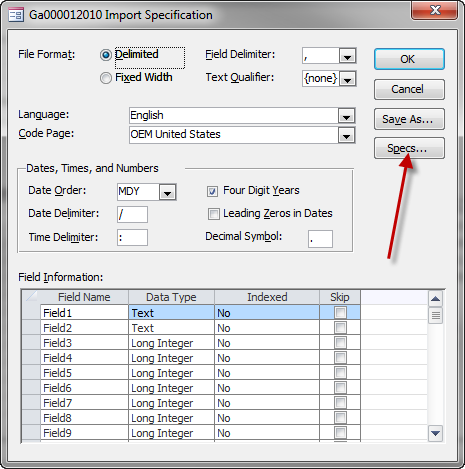 The specs will automatically change to the correct format. 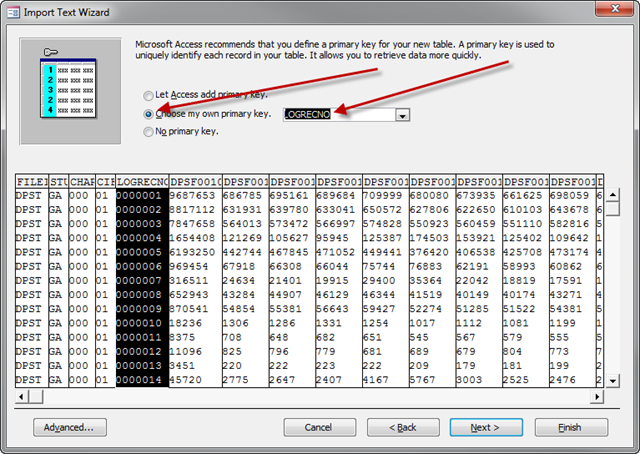 This step is important… so specify the correct primary key. 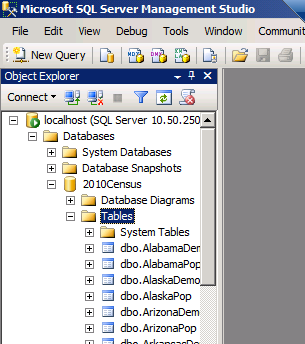 Name your table… I’m importing everything, so I’ll name it the state and attach Demo onto the end and Pop on the end of the geo file. 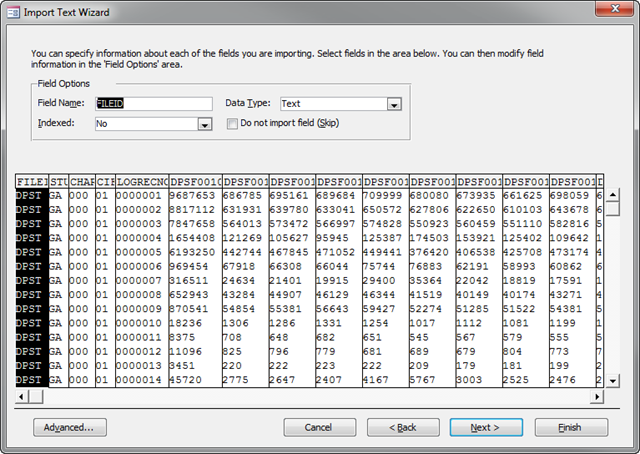 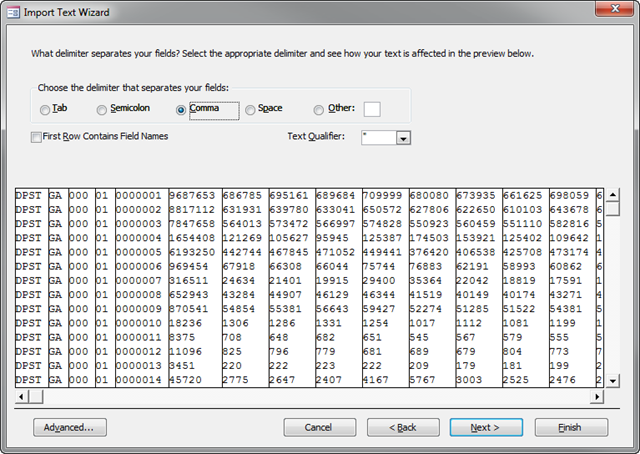 This will give me tons of data in two different tables for each state. 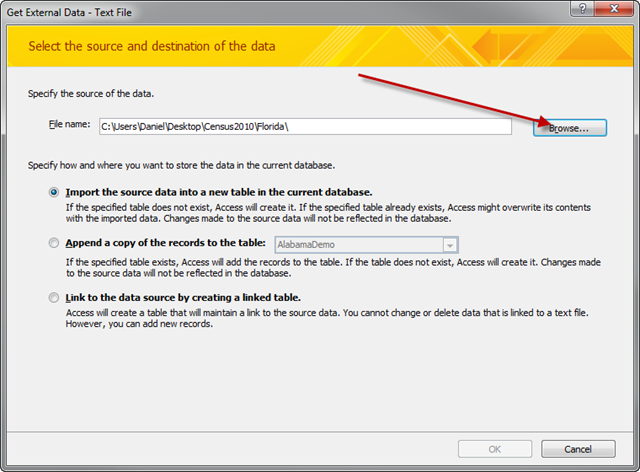 Have fun with data… if you have any questions or comments, please add it below!